And, what about your browsing habits? So many of you are stuck visiting the same old, tired sites. Hitting refresh over and over and hoping that one of your friends has finally posted something interesting, but it never happens – it’s just the usual stuff. Again. But, the internet isn’t boring. Really. At least, we don’t think so. That’s why we’ve added the Discover news feed to Opera Coast – to help you break your browsing habits, to set you free. All you have to do is open Opera Coast, swipe down and dig in. Every time you open it, there will be something new for you to read or explore – news stories, articles, sites. You don’t have to go searching for inspiration – we’ll bring it to you. 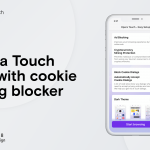 What else is new in Opera Coast 4.0? Share with a personal touch. Share any website, along with a message to let your friends know why you’re sharing it. Browse wherever you go. 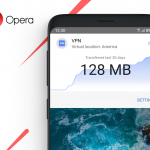 Opera Coast now comes with Opera Turbo compression technology, providing a smooth and fast browsing experience even on slow networks. Continue browsing from your iPhone to your Mac. You can read all about this functionality here. We hope you will like it too. Let us know what you think.